Are you experiencing a constant heady smell in your home or office that does not seem to go away? Can you notice some spots or discoloration on your walls or roof which is growing in size each passing day? Is there moisture on the walls which is causing the recently painted walls to shed off paint or is the wall paper coming off at certain places? Is everyone in your house complaining of allergies and infections? These are all symptoms that are pointing towards one thing - mold formation! 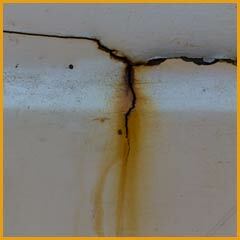 Molds can have roots set in hidden places and may not be prominently visible on the outside in their nascent stage. This is why not ignoring the signs is central! Once it starts beginning to develop, it can expand within hours and can target the core foundation of your property. 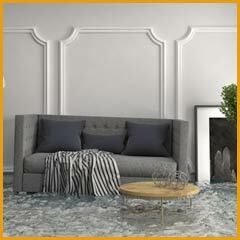 To put a full stop on it, just call Hallandale Beach Restoration Company on our helpline 954-379-2883. We will be there in less than an hour and start working on it right away! Remediation for molds must be started when the first signs start appearing so that the damage can be barred. Don’t try to take the matter in your hands and find a solution. Remember, it’s not only the health of your property that is at stake, but your own health is at risk with mold growing inside your premises. There is an increased risk of allergies, skin infections and respiratory issues. These factors make it important for you to act fast. 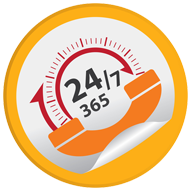 Our services are available round the clock for those who live in Hallandale Beach, FL area. 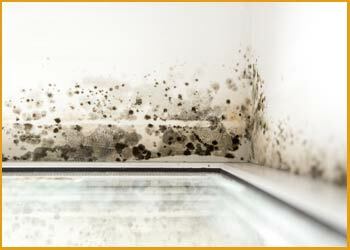 We follow a meticulous approach in assisting our customers get rid of mold completely. Our professionals only make use of advanced tools and technology so that the task at hand is completed without the slightest negative impact on the property. If the slightest trace of mold is left out, it can start to grow again and jeopardize your property’s health! Cleaning the affected area thoroughly is primary. However, before beginning with clean-up, we determine where mold persists and use special chemical cleansers to wipe it out thoroughly. As moisture is what mold thrives on, cutting of moisture and drying up the area that has been affected is what we lay a lot of emphasis on. Hallandale Beach Restoration Company uses best-in-class dryers and dehumidifiers that complete the process of drying quickly. There are certain materials that do not allow mold to dwell on them; our team can discuss the possibility of installation of such materials in your property. The prospect of using chemicals that can render the existing material mold-proof may also be analyzed. These methods can eventually save you the trauma of going through a mold remediation process in the future again. Give us a call on 954-379-2883 and allow our team in Hallandale Beach, FL area to analyze the extent of damage in your property. Based on this, we can present you with the options to remove mold and make your property mold-proof.